It is a little known fact that, even as its armies were attempting the conquest of the United States Territory of New Mexico, and as its politicians were debating the creation of a Territory of Arizona, the Confederate States of America was engaged in a covert attempt to wrest the northern states of Mexico from that Republic and to annex them to the new Southern nation. Had this attempt been successful, it might have changed the outcome of the war. It is this little known, but highly significant episode of the War Between the States that will be examined in this article. Before delving into the details of Confederate espionage and intrigue in Mexico, it would be well to examine the reasons for Confederate interest in its neighbor to the South. The Confederacy in 1861 saw both potential riches to be gained in Mexico, and the opportunity to acquire, without much cost, those riches. The riches of Mexico were of many kinds. Of course, since the days of the Spanish Conquistadors, Mexico had been a source of great mineral wealth, especially gold and silver. The mines of the northern Mexican states of Chihuahua and Sonora were productive, and would have been a definite asset to the new Southern nation. And Mexico had other, non-mineral riches to offer as well. At a time when the United States was beginning to impose a blockade of Southern ports, Mexico offered a virtually unblockadeable Pacific coastline with one of the finest harbors in the Western Hemisphere, at Guaymas.1 With the Union blockade thus defeated, and with the specie of Northern Mexico in its hands, the Confederacy could have imported whatever it needed to wage war. The material advantages of the Union over the Confederacy would have melted like dew beneath the morning sun. Finally, it should also be stated that at least part of Confederate interest in Mexico stemmed from a desire, on the part of some of its politicians, to gain territory for the expansion of slavery.3 This was not a new desire...indeed, slavery advocates had howled with rage when, in the wake of U.S. victory in the Mexican War (1846-48), the United States had not incorporated the whole of Mexico into the United States, rather than absorbing only the most northern tier of Mexican provinces, as was the case. In 1861 there were many Southerners (perhaps not a majority, but at the very least a highly vocal minority) who believed that the expansion of slavery into new territories would strengthen the Confederacy, and Mexico would provide those new lands. The collapse of its credibility with the Mexican central government did not end the Confederacy's intrigues in Mexico. For, as mentioned earlier, there still remained the possibility of direct negotiations with the semi-independent Governors of the northern Mexican provinces. Indeed, that option presented itself soon after Pickett's departure, although, for reasons that are not entirely clear, the Confederacy did not act upon it. At about the same time that President Davis was inserting a spy into Monterey, the Confederate Governor of Arizona, John Robert Baylor, was doing the same for the Mexican provinces of Sonora and Chihuahua.12 Baylor's spy (politely designated an "agent"), Jose Augustin Quintero, was an interesting character.13 He was a Cuban revolutionary who was born at Havana, Cuba, in 1829. 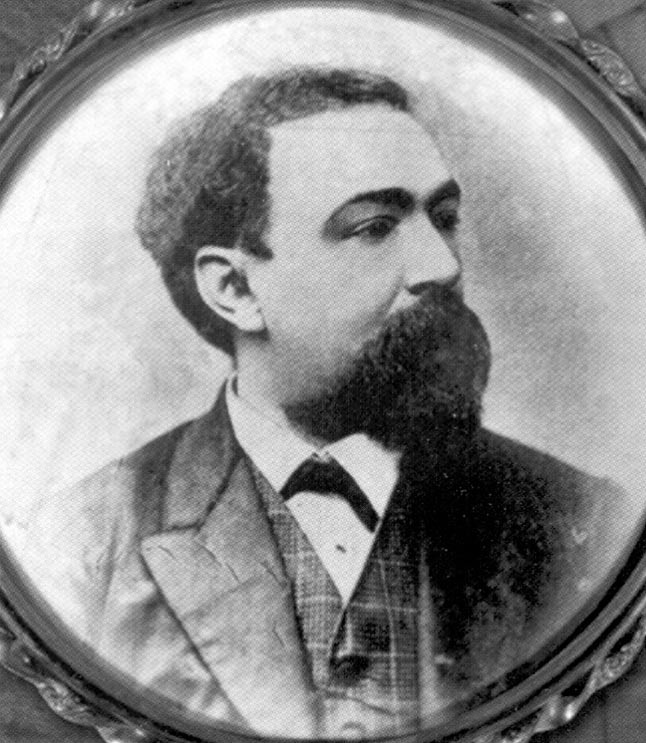 He was educated at Harvard, but on account of the death of his father was unable to complete his course, and engaged in teaching Spanish at Cambridge, Massachusetts, until about 1850, when he returned to Cuba, and became the publisher of a newspaper at Havana. Supporting the patriotic Cuban movement of 1850-51, he was thrown in prison by the Spanish authorities and sentenced to be shot, but had the good fortune to escape from Morro Castle. Taking boat for Texas, he made his home at Richmond, Texas, studied law, and was admitted to the practice. He also obtained appointment as translator of land titles at Austin, and was thus engaged until 1859, when he went to New York city and became connected with a Spanish-American illustrated paper, edited by George D. Squires, the Illustracion-Americano. When hostilities began in 1861 he decided to cast his lot with his Texas friends, and returning to that State, enlisted at San Antonio as a privat in the Quitman Rifles, which he accompanied to Virginia. In the latter part of 1862 he was transferred to the diplomatic service, and appointed confidential agent of the Confederate States government in Mexico. It was in this capacity that he worked for Baylor. Quintero was charged with the collection and transmittal of "accurate and minute information regarding the population, area, farming potentiality, mineral resources, commercial possibilities, and the extent and state of industry" in these two northern Mexican provinces.14 It seems quite probable that Quintero's reports from Chihuahua and Sonora influenced the later decision of the Confederate authorities to open direct negotiations with the Governors of those Mexican states. In selecting Reily for this mission, Sibley made what seemed to be an excellent choice. Reily, a Texas lawyer in civilian life, had been a member of the diplomatic corps of the old Republic of Texas. He was friendly to, and understood, the Mexican people, and was considered an able man for any mission to Mexico. Furthermore, he had been, since his teens, renowned for his skills in the art of oratory, and thus he promised to be a very persuasive negotiator. However, as one historian has pointed out, he seems to have been an "incorrigible enthusiast," who was "prone to accept half-promises as agreements, and diplomatic double-talk as indicative of progress. "18 We shall see how these qualities affected his missions. Upon arriving at the palace Reily presented Governor Terrazas with the notes with which General Sibley had entrusted him. Terrazas, upon having them translated, expressed willingness to open negotiations on the points contained in the notes (right of transit over Mexican territory for Confederate troops, and denial of that right to the Union, right of pursuit of hostile Indians into Mexican territory, and the purchase of supplies in Chihuahua for the Confederate armies).20 These negotiations were not to prove fruitful, and it would seem that Reily was mislead into believing he had achieved more than he actually had. Why did Reily and Terrazas interpret the results of their discussions so differently? There are several possible reasons for this. One possibility is the language barrier. Reily spoke no Spanish, and Terrazas no English, and in the course of translation meaning could have been altered for one or both of them. Another possibility is the deliberate deception of Reily by Terrazas. Terrazas may indeed have VERBALLY assured Reily of his agreement on the concessions requested, and later, in writing, repudiated his verbal agreements. This would seem to be a more likely answer to the mystery at hand. As one historian has stated, Terrazas was "between three fires, the Union, the Confederacy, and Mexico," and it seems likely that he simply chose not to add fuel to one fire for fear of being burned in return by the others.24 And there is one possibility as well. It is not impossible that Reily himself exaggerated the success of his negotiations, either out of the incorrigible enthusiasm which was a feature of his personality, or as a deliberate attempt to ingratiate himself with his commander. In either case, the letter sent by Terrazas to Sibley would have revealed Reily's exaggerations for what they were. With the end of the diplomatic missions of James Reily to Sonora and Chihuahua, and especially after the collapse of the Confederate Territory of Arizona, Confederate aspirations in Mexico dwindled away into nothing. Eventually the affair would be virtually forgotten, even by historians. Yet the Confederate attempt to annex the northern provinces of Mexico was an important episode in the history of the War Between the States. If the Confederates had been successful, the advantages gained might have shifted the balance of power in their favor, and their struggle for independence might have had a different outcome. For this, if for no other reason, the story of Confederate diplomacy and intrigue in Mexico deserves to be told. 1Robert Lee Kerby, THE CONFEDERATE INVASION OF NEW MEXICO AND ARIZONA, 1861-1862, Los Angeles, California: Westernlore Press, 1958, pp 48-49. Hereafter cited as Kerby; Brigadier General Latham Anderson, "Canby’s Services in the New Mexico Campaign," BATTLES AND LEADERS OF THE CIVIL WAR, Robert Underwood Johnson and Clarence Clough Buel, Ed., New York: Century, 1883-1888, Volume II, pp 697-698. Hereafter cited as Anderson. 3Trevanion T. Teel, "Sibley’s New Mexican Campaign: It’s Objects and the Causes of It’s Failure," BATTLES AND LEADERS OF THE CIVIL WAR, Robert Underwood Johnson and Clarence Clough Buel, Ed., New York: Century, 1883-1888, Volume II, p. 700. Hereafter cited as Teel. 7James Farber, TEXAS, C.S.A. : A SPOTLIGHT ON DISASTER, New York: The Jackson Company, 1947, pp 118-120. Hereafter cited as Farber. 8Kerby, p. 47; Farber, pp 118-120. 9Kerby, p. 47; Farber, pp 118-120. 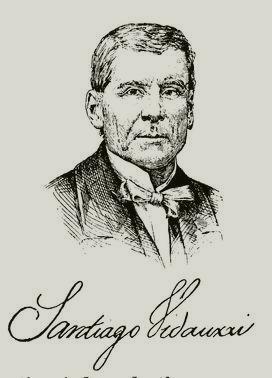 13Details of Quintero’s life are from Clement A. Evans, Ed., CONFEDERATE MILITARY HISTORY EXTENDED EDITION: A LIBRARY OF CONFEDERATE STATES HISTORY, WRITTEN BY DISTINGUISHED MEN OF THE SOUTH, Wilmington, North Carolina: 1988 (reprint of 1899 edition), Volume XIII--Louisiana, pp 556-557. 15Letter from Brigadier General Henry Hopkins Sibley to General Samuel Cooper, January 3, 1862, reprinted in Calvin P. Horn and William S. Wallace, CONFEDERATE VICTORIES IN THE SOUTHWEST: PRELUDE TO DEFEAT, Albuquerque, New Mexico: Horn and Wallace, 1961, p. 118, hereafter cited as Horn and Wallace. 16The first 3 goals can be inferred from a letter from Col. James Reily to Brigadier General Henry H. Sibley, January 20, 1862, reprinted in Horn and Wallace, pp 123-125, in which Reily describes the content of his negotiations with Governor Luis Terrazas of Chihuahua. 19Letter from Col. James Reily to Brigadier General Henry H. Sibley, January 20, 1862, reprinted in Horn and Wallace, pp 123-125. 20Letter from Col. James Reily to Brigadier General Henry H. Sibley, January 20, 1862, reprinted in Horn and Wallace, pp 123-125. 21Letter from Col. James Reily to Brigadier General Henry H. Sibley, January 20, 1862, reprinted in Horn and Wallace, p. 124; Letter from Governor Luis Terrazas to Brigadier General Henry H. Sibley, January 11, 1862, reprinted in Horn and Wallace, pp 122-123. 22Letter from Col. James Reily to Brigadier General Henry H. Sibley, January 20, 1862, reprinted in Horn and Wallace, p. 124; Letter from Governor Luis Terrazas to Brigadier General Henry H. Sibley, January 11, 1862, reprinted in Horn and Wallace, pp 122-123. 23Letter from Col. James Reily to Brigadier General Henry H. Sibley, January 20, 1862, reprinted in Horn and Wallace, p. 124; Letter from Governor Luis Terrazas to Brigadier General Henry H. Sibley, January 11, 1862, reprinted in Horn and Wallace, pp 122-123. 25Orders from Lt. Col. John R. Baylor to Captain Sherod Hunter, February 10, 1862, found in the Sherod Hunter "Jacket" at the National Archives, Washington, D.C.
26L. Boyd Finch, "The Civil War in Arizona: The Confederates Occupy Tucson," ARIZONA HIGHWAYS, January 1989, p. 17; Kerby, p. 78. 27Captain Sherod Hunter, report to Lt. Col. John R. Baylor, April 5, 1862, reprinted in Horn and Wallace, pp 200-201. 31Letter from Col. James Reily to Brigadier General Henry H. Sibley, January 20, 1862, reprinted in Horn and Wallace, pp 120-121; Farber, p. 122; Kerby, p. 61. The music file of "The Southron's Chaunt of Defiance" was composed and is copyrighted by Benjamin Tubb. For more of his great tunes, visit his website, THE MUSIC OF THE AMERICAN CIVIL WAR. Great, ain't it? The author is also endebted to Ron Terrazas, who provided a correction to the information about Don Carlos Moye, brother-in-law of Governor Luis Terrazas of Chihuahua; and to Gustavo Carmona, who provided pictures and information about Governor Baylor's spy in Sonora and Chihuahua, Jose Augustin Quintero.